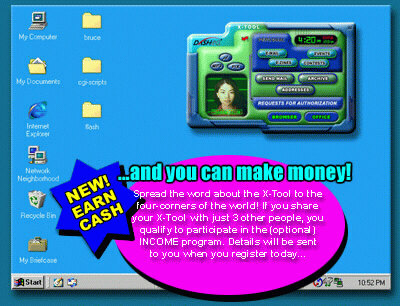 You’re one click away... from one of the fastest growing instant messaging communities on the Net. Use the Dash I-M system to message with your friends and family. To make sure you can keep in touch with around the clock and around the world, Dash I-M users will be able to message with ICQ, AOL and MSN users.